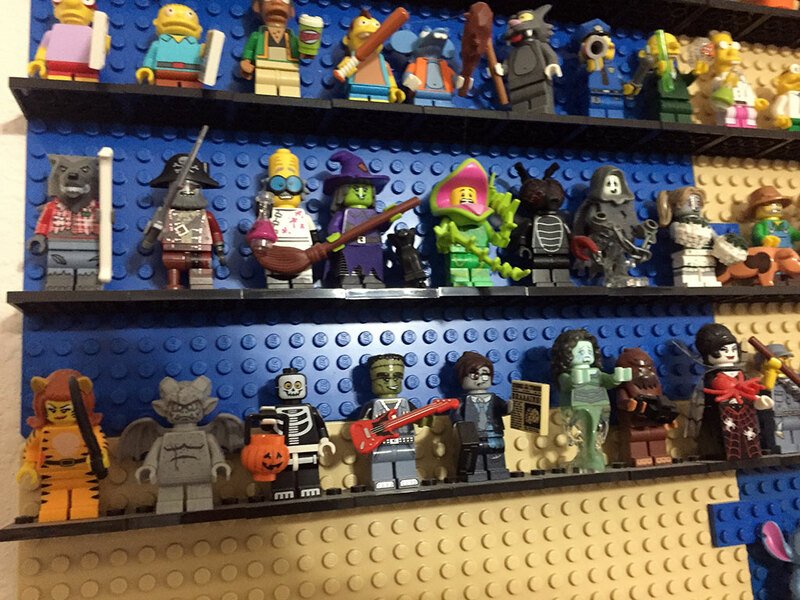 According to some old blog posts of mine, I first started collecting CMFs around 2011 with series 3, so it took me roughly 6 years to nab 23 series total … with Series 17 that just came out making series #24! 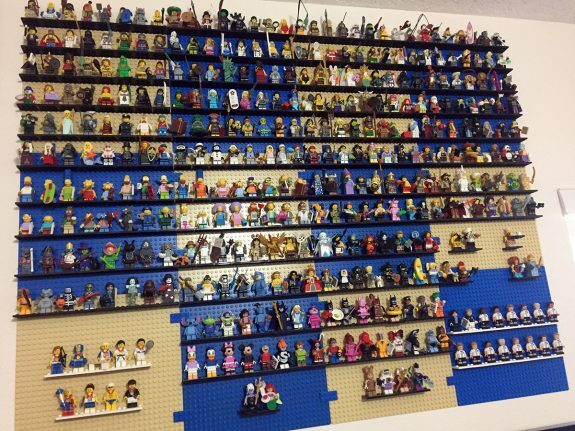 It’s kind of fun to track the display itself as my collection slowly grew over the years – how it started with just a handful of minifigs on my desk, then started filling up a single base plate, and a couple of years later I upgraded to four base plates in the display total. Now about four years after those four plates, I’ve since had to clear off a significant portion of one wall in my office to make room for the massive twelve plate display that are in use today … and really, as soon as whatever follows Series 17 is released, I’m going to have to expand AGAIN!!! I know I’m not the only one who’s a fan of the guys in costumes theme that has been present throughout the years, but there’s a good reason – these guys are cool! 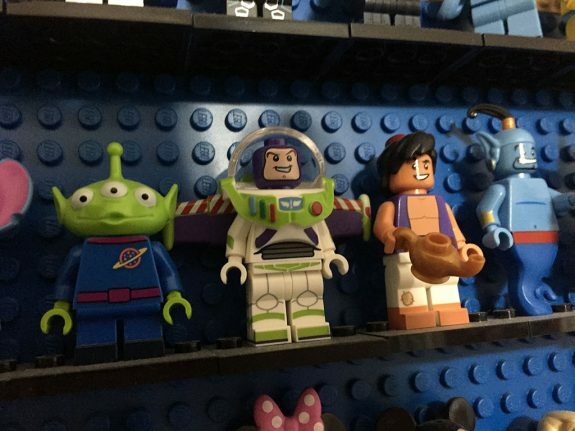 With so many minifigs, it’s really hard to even pick favorites because there are tons of cool ones, but these guys all stand out, that’s for sure. 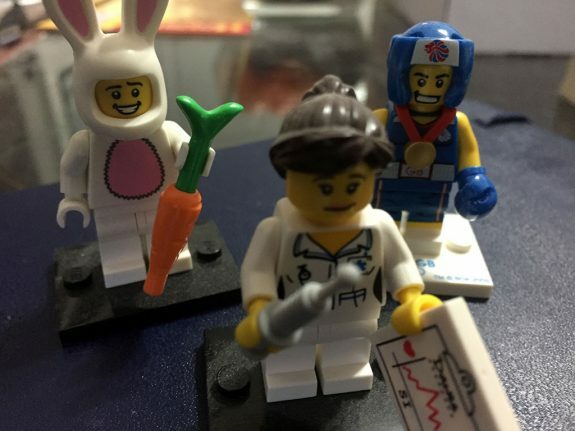 If I had to guess, I’d say that each of these three minifigs ran me about $40 a piece … the nurse is one of the rare minifigs from Series 1, the Boxer was a pain because he’s from the London Olympics series and I had to order him from overseas, and I don’t really know why Bunny Suit Guy was so pricey, except that I was a little more cautious because I actually found sellers counterfeiting them when I was ready to order that one. 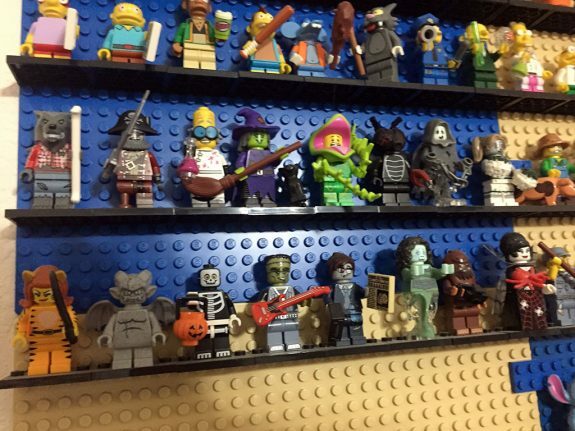 All in all, it’s probably not crazy to estimate that the entire collection cost me a couple thousand dollars between buying blind packs ranging from $2.99 – $3.99, orders on Bricklink, and trading away or selling my doubles. 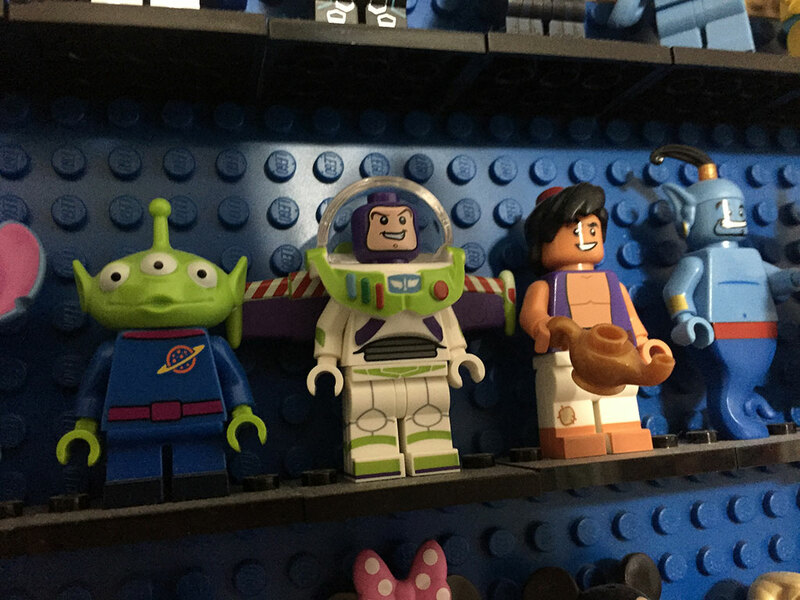 Anyone who follows me on Twitter may have noticed that I’m currently stuck watching Toy Story approximately 7,000 times a day because my three-year-old son loves Buzz Lightyear. Whenever he comes into my office, the first thing he does is point out Buzz in my minifig collection on the wall, which is thankfully still well out of his reach, but just to help placate him I did first give him the Buzz minifig out of one of the Toy Story sets from a while back, and then later ordered a couple of extra Buzzes from the CMF line as well for when he loses them. In some ways, it’s definitely a bit of a relief to have my collection done – or at least caught up to the current series – namely because the last ones to grab were the hardest to find either due to price or only being available overseas. 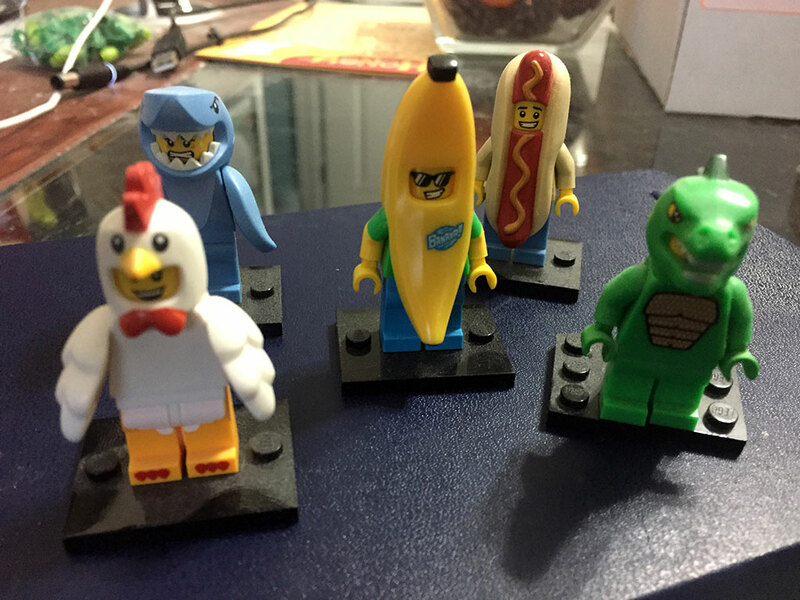 I tended to buy them in lots of about $50 worth at a time, though towards the end that would sometimes only end up being a couple of minifigs instead of half a series!